Port connection requirements are 9600, N, 8, 1 (9600 baud, Non-parity, 8 bits & 1 stop bit). Drivers can be downloaded from http://www.ftdichip.com/Drivers/D2XX.htm. The device name is FT232R. For the driver installation, follow the instructions for your operating system at http://www.ftdichip.com/Documents/InstallGuides.htm. 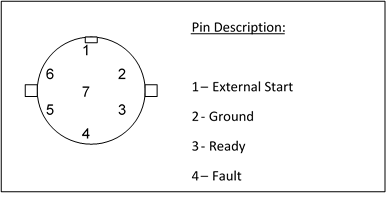 A 4-pin circular connector. The mating connector is manufactured by Hirose Electric Co Ltd (Part Number RM12BPE-4S(71)). Note: to enable automatic mode, 24VDC must be connected between the “Auto Select” input and the ground at all times. The voltage must be applied prior to powering on the unit. A 4-pin circular connector with bayonet lock. Provides 24VDC power supply for ATI-designed accessories such as the Local Exhaust Module. An RJ-45 connector. Provides a communication interface for ATI-designed accessories. 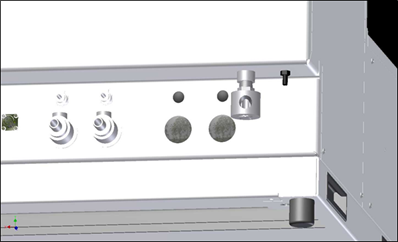 The Automatic model has two pressure ports and two aerosol ports located at the back of the unit. During warm-up, all interaction between the operator and the unit takes place on the touch screen. During setup, interaction takes place via a Human-Machine Interface (HMI). 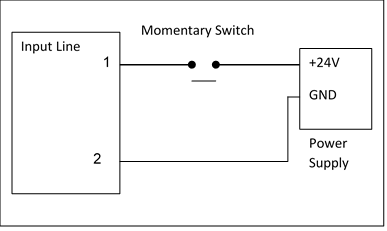 Once a sample is loaded, the “External Start” signal must be applied to initiate each test, in the following order. Note: the test fixture must not contain any filter or assembly during the LSC Sensitivity Test. During operation, the PLC or Automated Production Line is responsible for loading and unloading the test fixture, ensuring the test fixture is properly closed, sending the “External Start” signal to initiate a test, and opening the test fixture and removing the filter afterward. Upon completion of the test, the machine will enable the “Pass” or “Fail” status line depending on the test outcome for the duration of the “Open Time” setting. Once the “Ready” status line is enabled, the machine is ready for the next test. Called by sending a momentary voltage pulse to the “Pen Cal” input of the Auto Port. Note: the test fixture must remain empty during the Pen Cal operation.